Autism is considered a developmental disability. As of late 2017, the Centers for Disease Control and Prevention (CDC) estimated that 1 in 68 children in the U.S. had autism. The diagnosis rates keep on rising. For example, in October 2009, when a report published by the U.S. Department of Health and Human Services, placed the diagnosis rate at 1 out of every 91 children. There are different theories as to what causes autism. The role of environmental factors in the development of autism is a crucial area of study. Genetics can influence the risk for developing autism. In most cases there may be a genetic pre-disposition with an environmental impact that causes the symptoms of autism to appear. What the environmental impact is can be different for each child. Some children suffer from biomedical challenges that are not considered a diagnostic criteria, but are impacting their development and learning. Autism is a diagnosis shared by babies, children and adults who may all act and look different, but who have challenges in the same three areas : communication, social interactions, and imaginative play or thought. A diagnosis is made by observing the behavioral characteristics in those areas. As there are no physical characteristics that are shared by those in the spectrum, and there is a wide range of abilities and disabilities – it is not always easy to identify. A diagnosis of an autism spectrum disorder is based on criteria set forth in the Diagnostic and Statistical Manual of Mental Disorders (DSM) published by the American Psychiatric Association. In 2012 the fifth edition, or DSM V, was published and included changes to the diagnostic criteria for autism. Autism is considered a spectrum disorder because of the variations of autism that exist from the non-verbal, less functionally-able child with classic autism; to the very verbal, academically-gifted child with Asperger’s Syndrome and every variation in-between. Many parents also describe medical problems (ie, gastro-intestinal and immune system issues) and/ or sensory processing challenges. Two people may share the label of autism, but they can be as different as night and day. When parents of children or teens with autism meet for the first time, the inevitable question is “What’s your kid like?,” because they are all so different. For example, my twenty two year old son, Jeremy, who has classic autism, has difficulty with many self-help skills, has little speech, does his school work and communicates with the use of a letterboard, an ipad, or other assistive technology. My friend’s son, Tom, has Asperger’s Syndrome, can read and write in four languages, and his favorite past time is to study the world’s religions, yet has difficulty carrying on any conversation unrelated to his area of interest. Some children are calm, some are hyper, some are aggressive, some are ‘runners,’ always trying to escape the confines of an enclosed space. Some like to stay in the same spot and twiddle with a toy. Some are very smart, and others are unable to demonstrate how much they are understanding because of their difficulty in communication. In recent years, more children with autism appear to suffer from gastrointestinal problems. You may see someone rocking in place while waiting in line at the grocery store or bus stop, or a child throwing what looks like a temper tantrum to the untrained eye in a grocery store. You may know a quiet teenager considered nerdy, or have a neighbor who sometimes flicks his fingers in front of his face while walking. All of these could be different manifestations of an autism spectrum disorder. 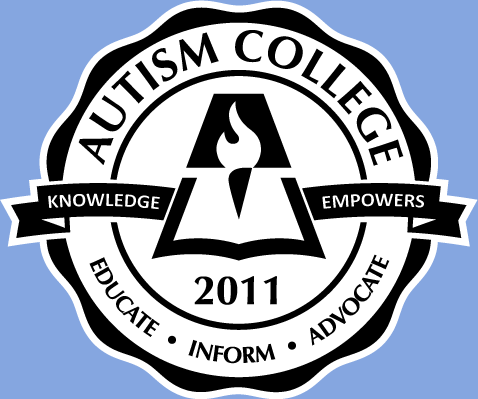 For more information on autism, read Autism Spectrum Disorder (revised edition, Penguin), or What is Autism? (Turner), both written by Chantal Sicile-Kira.